If you’re like 40 million other Americans, you spend your workdays in a cubicle. Along with pocket-protectors and Dilbert cartoons, a cubicle is one of the classic places you’ll find design engineers. Fraught with the stress of deadlines and constructible designs, we spend many hours of our lives piloting these desks. I’m fortunate to be part of a team that makes a point of leaving that cubicle and getting outside – literally. 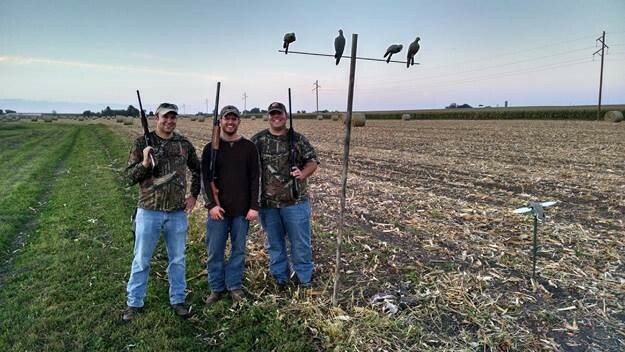 From disc golf to a little dove hunting, various members of our team have been able to get out and enjoy the world around us. One of my favorites was an impromptu dove hunt I participated in with a few coworkers last fall. Not only was the hunt fantastic, but a day or two later we shared the bounty of the field and I learned that some of my teammates also double as fantastic chefs. Many of us will spend a great deal of our lives working as part of a team in an office environment. One of the most enjoyable experiences for a team can be to get to know each other outside the confines of our cubicles. Click here to read about some other interesting team building activities.